Whilst describing hairstyles with words alone can be a little tricky there are so many gorgeous hot hairstyles gracing the Oscars and other red carpets of the stars at the moment, that it seems a pity not to ‘borrow’ many of them, as they translate so well to weddings. What is becoming more and more evident is that ways to wear your hair at weddings is not about going out on a limb, it’s about adopting something graceful, beautiful and not too far removed from the way you might wear your hair normally. 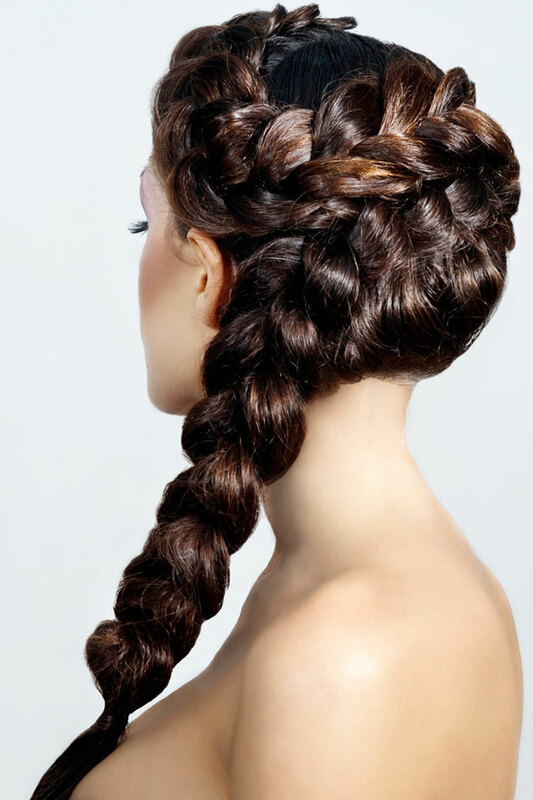 There are so many different ways of wearing the braid.